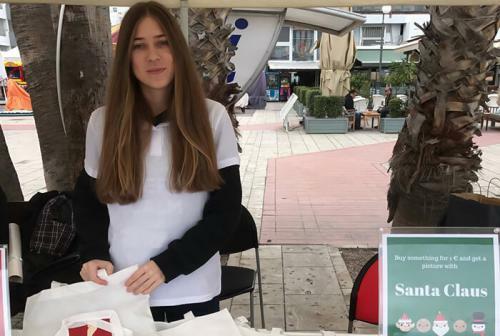 The Christmas Bazaar took place in the beautiful Hobos Square at the Finikoudes beach area in Larnaca. 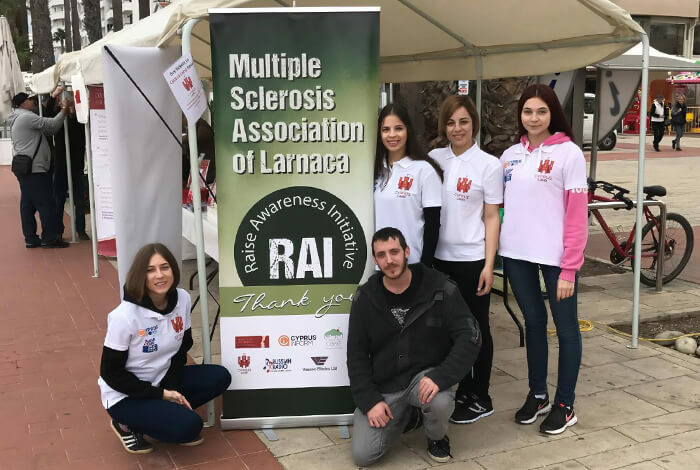 Throughout the day, the volunteers sold hot beverages, freshly baked cupcakes and selling other items that were donated by sponsors in their effort to raise money for the people living with Multiple Sclerosis. 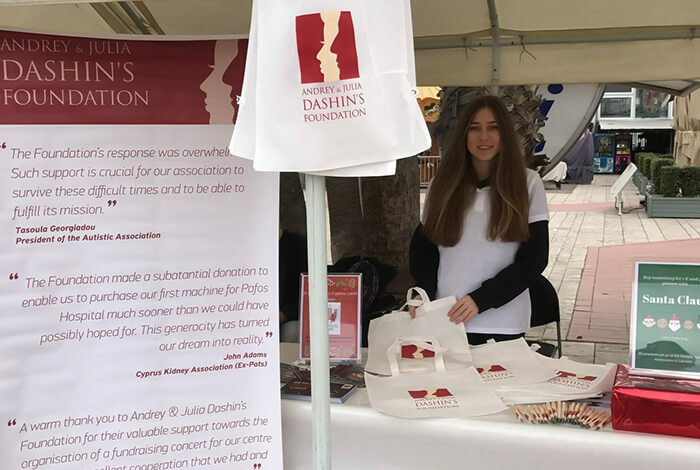 After receiving an email from the ‘Raise Awareness Initiative’ team asking for aid in order to help those in need, the Foundation decided to donate 30 ecofriendly bags and 60 pens in support of the cause. 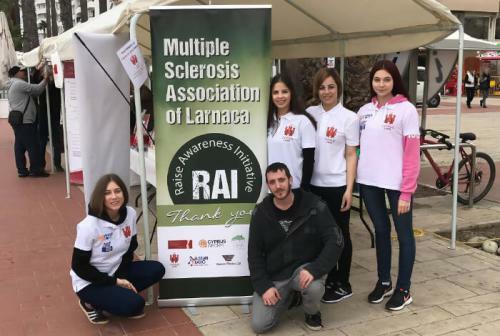 The team of students, the President of the Association, Stelios Nicolaou, and the representative of the Association, Maria Evripidou, extended their overwhelming gratitude to the Foundation for their help and contribution. 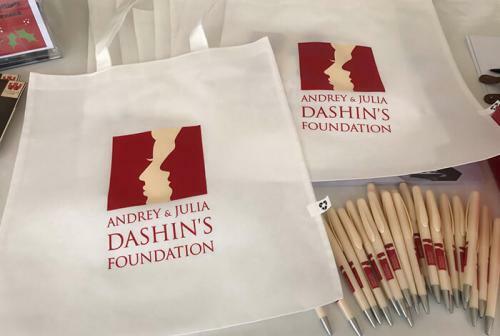 The Andrey & Julia Dashin’s Foundation is always pleased to extend a helping hand to those in need. 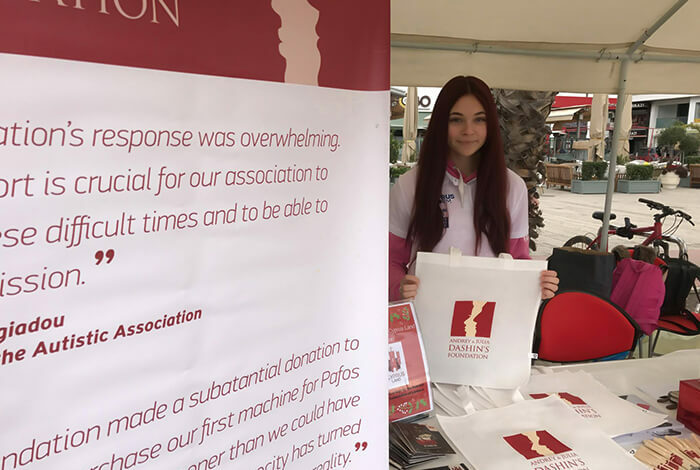 After already announcing a series of remarkable donations throughout the Christmas period, the foundation continues to uphold its promise to promote the idea of selfless giving and the value of volunteerism.